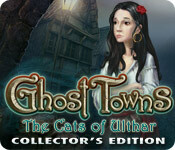 Ghost Towns: The Cats Of Ulthar Collector's Edition is rated 3.9 out of 5 by 103. Rated 5 out of 5 by J9CT from love cats!!!! I really enjoyed playing this game and love the cat theme. I played on hard mode and there was no switching between modes which I actually enjoyed as it made me think and when I was really stuck I had to use the strategy guide. A few of the puzzles I really had to use my head as it was random and the strategy guide didn't give a solution. Yes the graphics aren't top quality but I think it wasn't meant to be, it really suited the story-line. I enjoyed the unraveling of the mystery and the bonus game just wrapped everything up. Couldn't find all the cats, still had 3 more to go but I will definitely be playing this game in the future so will try my luck again. This is just a fun game all round. Rated 5 out of 5 by Firehorse66 from A fun game! I liked the originality of this kitty concept, thought it was fun. Liked finding the cats. I thought it was cute. The graphics have something to be desired, not so fabulous. The extra play was good but I always it expect it too be longer for the CE price since I don't care about anything but the extended bonus play. I had fun playing this game just wish the graphics were better. Rated 5 out of 5 by jesuitwitch from I loved this game Yes, I am owned by four cats, but that is only part of why I loved this game. I cared about the characters. I like games in which achieving goals helps to move positive action forward. The graphics were gorgeous, the HOGs just hard enough. Please can we have more by these designers! Rated 5 out of 5 by Juju38 from Brilliant game! Loved this game and loved the storyline including the task of finding all the cats but the constant meowing of the hint cat drove me insane! The hint system is great because it tells you where to go next because it's back and forth all the time and quite frustrating that you're going round and round looking for one item and having to go all the way across the village just to use 1 item. Long play and well worth the price. Rated 5 out of 5 by iheartmy1dog from Awesome game! This game was a lot of fun... loved the difficulty level, it was just the right amount of difficult for me. All the mini games were fun and enjoyed the HO scenes. The hint button was awesome if I got stuck. Awesome game.....well done!! 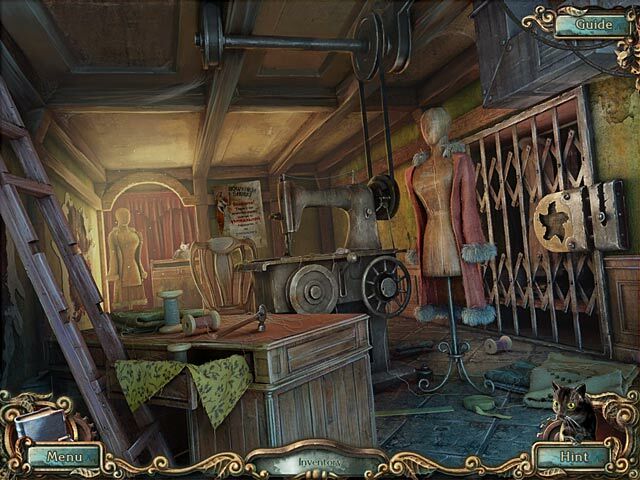 Rated 5 out of 5 by lelemax28333 from awesome game loved this game after playing the trial version.loved the storyline,so i had to buy it to see how it played out.great puzzle games and hidden object scenes.sound quality scene layout very good. held my attention.liked the fact that i had to find the cats. Rated 5 out of 5 by spankybusterlong from LOVE, LOVED IT! I am a cat lover what can I say. They did a very good job on the sound and looks of the cats. I also loved the puzzles, they original and a lot of fun. I liked it because it wasn't stressful just entertaining. Rated 5 out of 5 by farfeltoo from Cats are where its at!! I was truly challenged in this game. The art work was clear and precise. I dislike when people do not look like people. kittys and people all looked normal. Loved the extra challenges, though I admit I had to "cheat" on a few. This is the first time I have been enticed to give a review, but rate this one as "THE BEST!!" Rated 5 out of 5 by Gingertaps from This game grabs you! 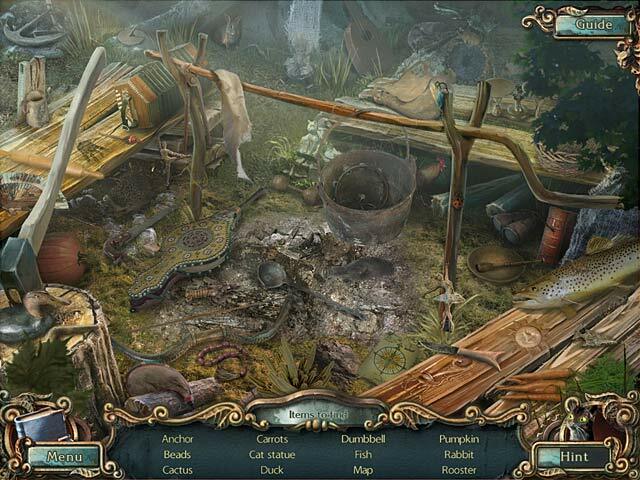 This is a game with an interesting story plot and beautiful art work. It makes you think in order to continue although hints are readily available if necessary. 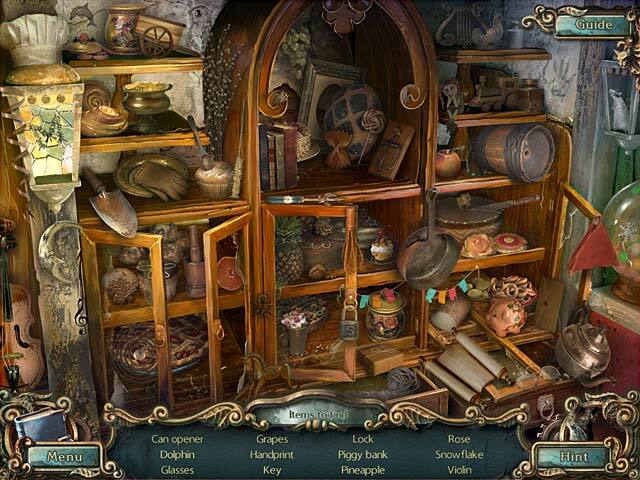 A variety of puzzles as well as hidden object scenes keep the game interesting. The music can be a bit repetitious but can be turned down so it fades into the background. Rated 5 out of 5 by pmill38696 from Nice Game This was a nice game that kept my interest.